Zoom provides so much information in one-click or one profile, things I would otherwise have to search on my own through various entities and search engines. ZoomInfo is the best investment myself and my company has made in my opinion, it's a wonderful resource. Some of the results in my search list that the email and direct line is included in the contact profile but once opened they're not actually listed. Finding contacts for various current clients and potential clients is very important, my job is more of a relationship management role rather than sales. ZoomInfo helps in every aspect of building my contact lists. "Great Tool for prospecting and qualifying leads"
One of the best tools I have used. One of the features I like best is the search criteria breakdown. It allows for much more detailed searches, which provides more qualified information on a company. I also like that it provides the date a company or contact information was updated, which further qualifies the lead. I am very new to the tool and have not really found anything I don't like as of yet. I would advise that it saves a lot of prospecting time. Which in itself is a great value. You get all the information you need by just clicking on a company or contact. What they do, where they are located, direct phone number, and e-mail address. It's Amazing. ZoomInfo is helping me update outdated contact information within my current account base and providing new leads and locations to grow my account base. The Links to LinkedIn and Twitter for each contact is especially good, as I can reach out using those forums as well. I love how simple it is to access leads and our accurate the content is. I've never used a tool this detailed and user friendly for prospecting like ZoomInfo! The feature and ability to pull categories and zero it down to zip codes is truly amazing. I absolutely has changed our way of doing business. We have virtually cut out the gate keeper and are almost always getting to the person we need to speak with directly. Saves time, money and resources. Awesome tool and would recommend to all sales and marketing organizations. It would be awesome to see if I've already viewed a lead as I'm prospecting. If it could be grayed out or maybe a checking system that show whats already been uploaded in the system and hasn't. Also a search field within the lead it's self. Maybe there is already a tool feature for this, maybe not, but it would be helpful. Or someway to filter a specific title for a company. If this is an option, i would love to be contacted. Fully integrate this product in your CRM. This makes the process more streamlined for you reps. Its simple and helps your team speed up the process. Identifying direct contact info of potential clients. This gives me better access to potential decision makers. Also the amount of data is amazing! The ability to integrate to Salesforce cleanly is awesome. Makes life simple. "Already making me win new clients"
Nothing so far, it was a bit confusing as there is so much to learn. Great product and helps me make more money. All the information is very accurate! I love the way it is laid out. The website is very simple and easy to use. I love that you can export a list of people and the import them right into SalesForce. This makes upload new leads easy and it only takes a couple of minutes. I wish the user interface was more modern and simple. The website looks old. It is very easy to use but looks outdated. I also do not like the contact view limit of 2000. I also don't like that I can not see how many contacts I have viewed. There is really no way for me to know when I am getting close to the limit. Zoom Info offers a free trial. It is always worth trying I think. If your company is looking for a good way to generate new leads this is a great way to do that. The worst thing that can happen is you find great quality leads during your free trial that help your business. It is free, you have nothing to lose! Zoom Info is great at helping our company generate leads! I use Zoom Info almost every day! One benefit that Zoom Info has is they have so much information about people. You can get their direct phone, Email, and company phone. This makes reaching out to new people easy because you have so many ways. "Great data mining for prospecting potential clients"
Accurate data and easy to sort specific, targeted lists on companies in every industry but category. Improves ability to prospect effectively. Best tool for garnering information on companies in the industry. Great training and easy to use the system. When landing on page can't navigate with back button, must open new browser and copy page which is cumbersome. Search doesn't always yield results when typing in company if not an exact match.Data at times can be skewed if company is a subsidiary of another company. 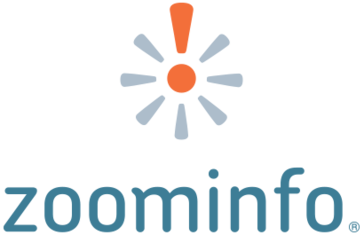 Zoominfo has recently been acquired by Discoveryorg.com, which is the perfect compliment to this company, making it a prospecting juggernaut. In another month, both will merge and the data available for purchasing and other areas will be doubled. This will give a powerful tool in the battlefield of prospecting! If prospecting data is your game then play with the best equipment possible-ZOOMINFO! Able to create prospect lists and facilitate rapid pursuit of targeted companies very easily. Able to verify correct contact within company for real estate or higher level to go around if not responding. Specific categories withing various industries that makes searching optimized by being specific. Intuitive user interface! The interface is extremely easy to navigate and creating/exporting leads from ZoomInfo was a breeze compared to prior products we've used. Creating the lists of contacts is easy and the implementation was easy. Utilizing the product was easy without training for those who were unable to attend such as myself. Filters are a bit confusing, Currently, you are able to utilize location and zip code but the zip code does not get filtered out. It would be easier if you were able to filter down to granular levels without having the option of inputting both location and zip code of the area you are searching for. This will help reduce any confusion when creating a list of companies and contacts. This was the first confusion that I had during the initial attempt. Utilize all the info available to you. There is a ton of information about current companies and who to contact. That kind of information ins invaluable to any industry. Finding contacts with the right department has been critical to the improvement of my business. We are able to create a credible conversation from the beginning to the end by having the right contact within each company. ZoomInfo has provided that. "Zoominfo helps with prospecting and discovery calls"
I like the detailed information and the integration with Salesforce. This makes it easy to target your audience with emails, phone numbers and record that information in SFDC for full visibility. Having that visibility means less wasted effort. Management and marketing can run reports to see where sales efforts have traction and turn one-on-ones into strategy sessions instead of activity discussions. Zoominfo has a lot of capabilities and I'm sure I'm only scratching the surface. The experience is great and I'm still discovering what it can do. I would like to be able to do searches without having to know zip codes. It would also be nice to be able to type in multiple locations (multiple cities or states) and see results that way. Zoominfo helps with discovery call preparation and finding the correct person to target. It contains all the functionality you'd expect (size, location, web address, revenue, number of employees) but it also provides the number of locations, the number of people in several departments, and the specific information you need for direct sales prospecting (email and phone number). It provides email addresses and phone numbers so you can target your specific audience. This allows you to tailor your message so it resonates and also makes it easy to plan follow up touch points. I can usually figure out the organizational chain of command and use that to position for a higher level business case discussion. I can easily find the number of locations, the top people in a department, top technologies a company is using and really focus my outreach. "All you need to get the sales!" I like that I can find anybody I want from any company I desire. The numbers, names, and emails. The direct information helps me get to the contact and this way I can tell them my story and hopefully earn their business. We all know that the front desk or the operator is USELESS. I also like the new layout, it is a lot easier to navigate. It's very rare but some of the information is outdated but it's understandable as turnover happens. Sometimes the companies, contacts and locations change. I don't know how often it is updated but sometimes I call and I can't find that person or they have moved on. I'm not sure if there is a feature for me to maybe flag the contact and put a comment in their that they aren't there. Then whoever is taking care of the updates will be able to look at my notes or whoever out notes on there and then maybe verify it and change it if it's legit. Get your account as soon as you can if you are looking to cold call and sell. I have attracted many leads and new accounts. As a staffing manager that's forever selling, I need to get more contacts to call and get all the commission I can. So the biggest benefit is getting the information I need without going with the companies website or receptionist. "Zoominfo and Vanguard - a perfect partnership"
I have been an avid Zoominfo.com fan, user, and advocate for years. I have been instrumental in bring Zoominfo.com on company wide at several companies I have worked with. Just recently I introduced Zoominfo.com to Vanguard Cleaning Systems and spread-headed bring Zoominfo.com on with our company nationally at 72 locations. Zoominfo.com provides accurate, current, detailed information on prospects that our invaluable to our Business Development team. I love that it has direct phone numbers, not just corp head quarters, but direct lines. There is nothing like it on the market. I wish we could search by email address if we have it. But for the most part Zoominfo.com is hard not to love. This is not an inexpensive option but of you are serious about Business Development there simply is no comparison. Zoominfo.com delivers what they promise. We are able to specifically target decision makers in our field. You can contact the wrong person a thousand times and get no where. Zoominfo.com helps our team target the correct contact. We are saving time on research and having productive dialog with the right people. "Zoom Info Equals Success for Inside Sales Reps"
The granularity of the searches allows for concise, accurate, detailed searches for prospective clients. The ability to fine tune searches with filters such as location, direct vs HQ lines, and individual departments has made the life of a BDR much more simple and time effective. The biggest issue has been the lack of accuracy on some smaller business searches. I am looking into smaller companies and the titles are either completely inaccurate or outdated by years. This is frustrating when you strongly trust this site and the information they provide just to feel like a deer in headlights when they correct you. My recommendation to others is to just give it a shot. Once you realize the ease of use with ZoomInfo and how much it can help generate business, you will never think twice about another product. ZoomInfo has been an integral part in the success of the business development team here for IBM. The ability to be efficient when sourcing. Linked in is a great search tool as well but ZoomInfo allows for a concise search into every company imaginable. This is the single handed greatest prospective tool on the market for all business development reps and other sales professionals. "Best lead generation tool PERIOD"
Has already made me at least 1000% of the investment hands down, probably more. Another thing worth mentioning is the % of DIRECT numbers available. For leads that I may already have, this is a very good tool for finding DIRECT phone numbers, in a lot of cases..Cell phones. THANK YOU! I'm also very impressed with the search function. I have a friend who works a territory for Xerox and was showing him the capabilities to geo target his territory to companies earning 10,000,000+ with 20+ employees. He will be buying this shortly. Says no one at xerox is using this, which was very surprising. The search function is not smart. Specifically for companies, if you don't spell the name fully or correctly it does not account for this. The ability to generate lists does not seem very easy, However I have not spent a large amount of time on this. GET IT, NOW. This will cut your lead research time in half and give you more direct numbers than you know what to do with! Direct numbers for leads that I have. "Terrific, cost-effective tool for prospecting and marketing campaigns"
I love the ability to take a massive selection of data and slowly filter it further and further down to a hyper-targeted list that is perfect for marketing email campaigns or call-down campaigns. It's also great for larger targets to follow important news items using their news feed tool. The amount of contacts within the database is much more extensive than DiscoverOrg and seems to be just as accurate from the amount of testing we have done against the lists we pull. The technology information, at least for the hospitality industry, is a bit lacking. This isn't a feature we bought the product for, though. It was just a small added bonus. Still helpful when it's there, but very few companies have the tech information we're looking for. When it comes to the lodging/hospitality industry, I would not depend on ZoomInfo as much for information about the current technologies a company has. Some of the info is present, and when it is, it is correct. That being said, there is not a lot of companies with complete tech information. DiscoverOrg is much better at this particular thing. I love the ease of access with ZoomInfo and the amount of accurate information that the website has. My corporation pays for the upgraded membership and without this tool, I could not do my job daily. I have been nothing but pleased with everything ZoomInfo has offered us! I do not dislike anything. The new update made the platform even better and I am pleased with everything that ZoomInfo has to offer. This will make your life so much easier. This cuts my prospecting time in half and saves me from the hassle of obtaining the right information from gatekeepers to get access to the individuals that I want to meet. Many C-Levels are impressed that I was able to find them and know so much about their work history - however, I do not give up my secret of ZoomInfo! Often times I need C-level individuals information and do not want to have to bother them without scheduled time, so I find it very easy to go to ZoomInfo in order to find this information quickly and with accuracy. I also love that I can find who else may be important to know at the company so that while I am reaching out, I am making sure everyone who is necessary in the process is included on all conversations. "Easy to learn tool with simple and inituitive interface"
Vast amounts of information, very easy to find contacts at target accounts to build prospecting lists. It was also very easy to build lists and save for future reference and the filtering options were very granular, especially around technologies currently being leveraged at target accounts. Being able to filter by states, verticals, company size and other options allow very targeted outreach campaigns to be effectively created for sales purposes. Not really much to dislike, if you're targeting SMB's you may not always find their info on ZoomInfo but for midsize and above this is a great tool. The need to correctly identify targets for the sales organization. Using ZoomInfo has greatly reduced the amount of time needed to find contact info and decision makers. It's also proved very helpful to identify companies using technologies that align with our own and are therefore good targets for prospecting. "One of the easiest ways to prospect "
I like that I can take our ICP from a company and customer standpoint, and find prospects within minutes. Not only am I able to find them quickly but the contact information is much more up to date than some of the other tools I've used in the past. Trying to make it easier for our sales team to get better direct contact information for our prospects. Have been able to get more prospects quicker than we have been able to in the past. "Great tool - accurate and easy"
The quickness of retrieving data. I can quickly search and get the immediate results I need. It also does an excellent job providing accurate contact information. It also makes it extremely easy to run large lead lists for marketing campaigns. I've used many tools and there are things I strongly dislike about other tools. The only thing I could say regarding this is it'd be great to have more contact data. I often find contacts through other sources that aren't necessarily in the ZoomInfo database. I've used DiscoverOrg as well, and like their solution. Now that both companies have merged, I'm extremely excited to see what future rollouts will occur. Prospecting. ZoomInfo makes this task much easier. It also is amazingly beneficial in running targeted lists for email campaigns.. Yes it costs money/points to run the lists, but I find they're very accurate and effective. "Best source of data in my industry we have found yet"
Well sourced clean data within the healthcare sector is incredibly hard to find. The fact that my vertical has been cracked wide open with Zoominfo's specific tag searches is incredibly powerful. Along with an awesome super responsive CS team who has done their fair share of making me the superuser in our office in under 2 months. As mentioned above. Clean data in the healthcare sector is hard to find. Even harder is clean contact info with all the correct lines and emails for those prospects. Because of Zoom I can prospect harder and faster than ever before. I like that I can do an extremely specified search. I like that I can search for buyer, purchasers and procurement. Then look under the manufacturing industry and get more specific if I want. I like to use industrial and auto under that segment. I prefer to use people and companies in the US. I also like that I can change the management level to either add prospects or eliminate some. I wish I could see how many people/companies I have clicked on. That way I can keep better track of my 2k look ups per month. Just do it. It is easier to use than other programs, more accurate information, and the cost is not bad. We were looking to get past the gate keeper and to get better information about the companies and people we are prospecting. One benefit I just discovered was all the information provided about a business. What type of products and services they offer, who their competitors are. Best way to describe my dislike is to give an example. My territory is South Carolina, if I am looking for a contact and that company is headquartered in South Carolina, there is no way filter the location of the employees. It will show every contact in and out of South Carolina. This is only a problem if you are dealing with a very large account with multiple locations. The number of contact found can exceed 1000 easily and it can be very difficult to sort through the information. This is a fantastic tool for prospecting and to better understand your customers. Would strongly recommend this to any sales person or team. I deal with a lot of fortune 500 companies and it is hard to even get in the door, let alone get the proper contact information. ZoomInfo allows me to contact people within the orginization directly, bypassing most gatekeepers. One of the hardest pieces of information to get is an email and direct phone number, Zoominfo makes this a breeze. "User for life! My sales performance has improved tremendously!" What I like the best about ZoomInfo is how user friendly it is. ZoomInfo makes it extremely easy to run a quick search, whether you are trying to locate a specific company or contact. I usually search by company first, and am able to find a handful of contacts to choose from - if not, more! My goal when calling into a company is to locate Accounting and Finance professionals. If I cannot find a person with the job title I am looking for, I have found it is beneficial to call on a few different contacts and ask to be directed from there. People generally like to help people, and since most have their direct phone numbers listed I can call in and ask for their help in directing me to the right person. Another thing I like about ZoomInfo is that the direct email addresses are listed for each contact. I have found this to be extremely helpful because after calling and leaving a message for someone, I will follow up with an email. It is funny that today's world is scared of the phone, but people don't overlook many emails! I do not necessarily dislike anything about ZoomInfo. I would definitely recommend ZoomInfo if you are in any sort of business development position! The amount of information available at your finger tips is amazing; it truly cuts out a lot of time wasted on research. With ZoomInfo, I am able to solve many business problems - many benefits include: finding contacts within certain departments, having the direct contact phone number and email listed, as well as the address of the company listed. I work in sales for a staffing company, and my goal is to connect with Accounting and Finance professionals. ZoomInfo makes my job a lot easier! "Excellent too for grabbing up to date contact information"
I like how there are many mid-market and smaller companies details. Also like the interface/layout of the software it is very easy to use. I like how the search automatically breaks up search words into different keywords automatically. Why can I not make a suggestion if I have the correct info? I find myself cross referencing with linkedin every search to make sure I'm reaching out to the correct person. Easy to use and powerful, and now that data.com is sunsetting this is a great database for saving your team time. Saving a lot of time searching for the correct person to speak with. Huge benefit's in mapping orgs quickly and finding the right dm. I save hours a week using zoominfo and it seems to be a much better product than it's competitors, at least for our market. A lot of contact info and new contacts available. I have found pretty much every company that I have searched for which helps me with prospecting new customers and understanding more about their business. Nothing that I dislike or would change at this time. The price is fairly high, but it seems to be worth it at this point. I don't really enjoy the coin feature when it comes to saving searches or saving companies that I work with or will regularly work with or revisit. There is a lot of information that is valuable. I am able to locate individuals that are relatable to my business needs and contact info is available. 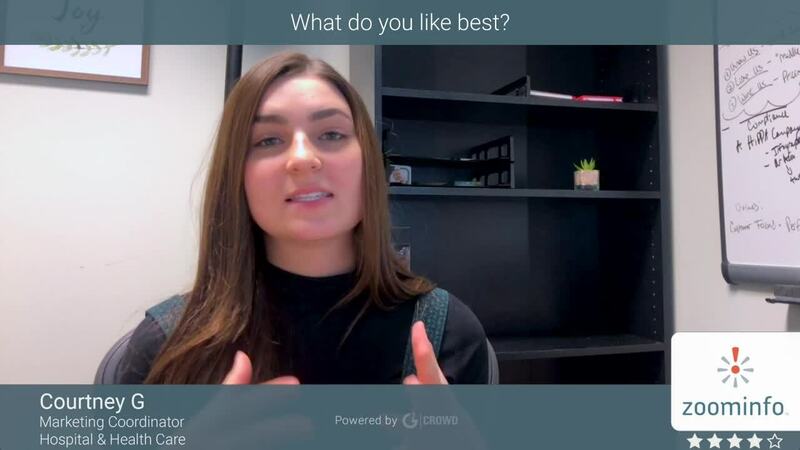 Being able to get an inside look into customers and the company that they work for is very beneficial and I plan to continue to utilize this tool. I think the change in layout with the update was jarring at first but it's gotten better. Also, I'd really love to see an App in the next year. That would be an even bigger game changer. It's ease of use and integration benefits make this a no-brainer. The amount of use I am getting with my version of the program is a fraction of what ZoomInfo can offer to everyone within a company. At the very least it helps update accounts in Salesforce and even finds company info that most salespeople wouldn't think to consider such as company size, revenue numbers, and industries. The ability to identify potential prospects and reach out to them via email/direct dial. I also like the ability to make lists and append to my current database/CRM. Honestly, not that much. There is time when I need to enter the website of a company opposed to the company name to get access to contacts. I feel account management for ZoomInfo should do a better job of talking with their current client base. When I have a problem with ZoomInfo I am always talking with my sales rep not the dedicated account manager. Be able to better understand what you want ZoomInfo to do for you. This is a very powerful tool and can make both sale/marketing job easier. Finding companies that are similar to the ones that are already buying from me. Being able to append my current database/CRM. "Zoominfo - prospecting necessity "
I use ZoomInfo on a daily basis to prospect and avoid calling into and working through gatekeepers. Having direct lines and emails are very useful for these aspects. I use their browser extension on company websites as well to gain more than contact information as well. I also like how I'm able to compartmentalize companies and furthermore, departments within. The "Job Title" input field can be used to further define your end result. Because of the ineffectiveness and lack of development in other areas of ZoomInfo (besides "Search"), there is much I don't like or even use on ZoomInfo. There are many other platforms on the market now that can do exactly what ZoomInfo does, if not more! The Build feature would be effective if your company does not have another CRM (SalesForce, or something home-grown). However, it may be most effective with smaller companies who can't afford those big-box names. ZoomInfo allows me to prospect and set up call sheets for the next day in order to effectively prioritize my calls per day. I am typically able to identify who I want to contact, but often get hung up on gatekeepers - in whatever capacity, whether it be their incompetence or their inability to let me through to the next level - using ZoomInfo, I'm able to bypass many of those barriers. "Great for Lead Contact Info and Account Based Marketing"
The accuracy of this product when gathering contact emails and numbers to be used in marketing and other drip campaigns is very useful. The filters available to narrow the results make it easy to quickly find the people you're looking for. The support and training provided by the staff is very helpful and makes using the product easier. While great for contact info at small to large corporations. Even smaller startup contacts are lacking, but understandable for how they acquire the info. Even with the use of Chrome which it is optimized for, the in browser platform can sometimes be a bit sluggish. Can be a bit pricey, but you truly get what you pay for in user satisfaction and quality leads. Appending, but also finding new leads in similar targeted business verticals. ZoomInfo has streamlined some of our processes by making work that used to take hours achievable in minutes depending on list size. We have received less bounces from our email campaigns. An example is 1 hard bounce from a list of 1000 contacts. The results speak for themselves. "Why I really like ZoomInfo for Business Development research." The accuracy of the data and the ease with which I can create teaches and save them. The drill-down abilities and the filters are also very insightful and helpful. I do not like the fact that it is limited in the number of integrations at this time...I realize it will be better in the future but I need it now. Now that they are part of DiscoverOrg, the product will continue to improve and add features such as the org chart, etc... This will add even more value to the mix! We are able to update our prospect files with more-current info and make better use of our sales processes. We can also better focus our efforts geographically within a given market. "Just can't live without it!" It makes my entire team 10 x more efficient at finding the correct contacts in the right companies. Armed with just a name, we get their Direct Line and up-to-date email more than half of the time in our industry. The data is GREAT - it's incredibly accurate for our use-case. I dislike the process of spending "credits" to export the data from ZoomInfo into Salesforce. A number of credits are included with your annual subscription, but eventually you must pay extra to export bulk data. Good news is, you can still manually copy and paste data from ZoomInfo to Salesforce for free. We've created a prospecting process that works. Every day, my team is finding more qualified leads to target. We're seeing the benefit of MORE CONVERSATIONS on the phone, because we're ONLY calling the right people with direct lines. "wonderful update the the UX/UI - game changer!" The last time I was a zoom user was in 2017. It looked very outdated and seems to have half the functionality offered today. Easier and more fluid searching with easier to obtain BI. I may not have used it long enough but sometimes the switching back and forth between companies/contact searching would be slightly frustrating. Still a great improvement from the past. It's a surefire way to upgrade your sales team's prospecting ability. Finding out critical things like company annual revenue, company size, positions within the company, their direct numbers and specifically emails. I am currently in the Construction vertical and those pieces of information can be very hard to come by on Linkedin alone. "Best software for direct phone numbers. " The amount of information is great. You always have the contact info available & direct phone numbers. I have not seen many sites give you direct phone numbers. Great site to use for prospecting. It also allows you to find the LinkedIn profiles in a breeze. Though it is a bit expensive but it is worth the extra cost when compared to other competitors. It's slightly priced on the higher side & its not easy to export contacts. You have to use credits which is very hardly about 3000 & then in the long term you have to keep buying more to create lists & export contacts. There are a lot of contacts which is not updated for over 2 years. There is also no option for users to suggest that the contact is wrong, only an option to mark as a duplicate. Go for it if your budget permits. It's a great too to get you the right contacts. You don't waste time on dial by name or speaking to the operators. You have to get multiple licences for every sales guy which is quite a task but okay when you see the benefits. Finding the right phone numbers without having to go through the operator. Less wastage of time. It is crucial to have the right phone number as you can reach the prospect whenever you want. Where there is no dial by name, direct phone numbers is the way to go. As an admin the lack of visibility into the team and what they are doing. Because we use this as a sourcing tool for prospects it would be great to have easy visibility into what my team is doing and what records they are exporting. The product is definitely worth the cost. Only drawback might be if you deal in high volume the cost might be too much for a startup type company looking to really get going. "Zoom Info can help find almost ANY contact you need." There are missing emails and phone numbers when using the plug in via linkedin. It is great and makes prospecting SO much easier. Getting a hold of company sponsors is the hardest part of my job, using this website makes it easy to find as many contacts as I can until the correct individual is reached. "Sr. Director of Sales Operations"
We use ZoomInfo for two main reasons. To import net new records into our Sales and Marketing systems to launch marketing campaigns and our sales executives use the data for their sales prospecting. we also use ZomInfo to Enrich our sales and marketing databases. all existing records get enriched and cleaned by ZoomInfo regularly. All new leads though, get cleaned real time which means our sales reps who receive the leads do not need to manually research leads with incomplete information since all leads get enriched by ZoomInfo before they are assigned to the sales executives. Price is normally much higher than what other vendors in the space offer. I do recommend to do some due diligence and determine what your organization's data needs are to ensure you are adopting the right ZoomInfo product. Improve our email deliverability ratio by acquiring high quality contact records from ZoomInfo. Most of ZoomInfo contact records have direct hone numbers which improves our overall call to conversation ratio. ""Incredible for prospecting and qualifying leads""
ZoomInfo is a point by point and easy to understand device for prospecting. The granularity of the looks takes into consideration compact, precise, nitty gritty scans for imminent customers. The capacity to tweak seeks with channels, for example, area, direct versus HQ lines, and individual offices has made the life of a BDR substantially more basic and time viable. Zoominfo has a great deal of capacities and I'm certain I'm just touching the most superficial layer. The experience is incredible despite everything i'm finding what it can do. I might want seeks on this device to be improved. It is incredible and makes prospecting so a lot simpler. We use ZoomInfo to find figures quickly and with accuracy thus prospecting and developing our business. We can legitimately call prospects. I approach direct telephone numbers and messages of those potential clients that I need to target. Zoominfo has helped us effectively develop our business. I love zoom info. it helps a lot when i need to know the org updates of a company or need a contact's email/phone number. There's been many times where a lead will enter a wrong contact info and ZoomInfo helps me to retrieve the correct contact info. Makes prospecting a lot easier. Most times it is accurate. There has been very few times where there is no info on the account i need but overall great. Again this is helping me go above and beyond and finding key contacts in an organization that i need to go after. There's been many times where a lead will enter a wrong contact info and ZoomInfo helps me to retrieve the correct contact info. Makes prospecting a lot easier. So the problems being solved are finding right contacts to go after, the correct contact info, and the ability to help you source throughout a company and know who's involved in what function of the organization. I personally use it for HR and it helps me find the right HR contacts as well as the right people in Talent Acquisition to go after. From there it is not difficult to get the leads and contacts into salesforce. Once they are there I can prospect and go after the leads. So overall from a prospecting side it helps a lot. Many thanks for your kind words! We appreciate the feedback and love hearing that you've found success with ZoomInfo! I adore the straightforward entry with ZoomInfo and the measure of exact data that the site has. My organization pays for the overhauled enrollment and without this instrument, I couldn't carry out my responsibility day by day. I have been only satisfied with everything ZoomInfo has offered us! I don't hate anything. The new update made the stage far better and I am satisfied with everything that ZoomInfo brings to the table. Customarily I need C-level people data and would prefer not to need to trouble them without planned time, so I think that its extremely simple to go to ZoomInfo so as to discover this data rapidly and with precision. I additionally love that I can discover who else might be critical to know at the organization so that while I am connecting, I am ensuring everybody who is fundamental in the process is incorporated on all discussions. "The best value for your money in people and businesses information, hands down"
It is easy to access the data I am looking for. They have a lot of direct phone numbers. A lot of other services I have used in the past did not have direct phone numbers. I logs me out every day and sometimes during the middle of the day. It is just a minor inconvenience. In my research it is the best product on the market for business information. Prospecting and growing our business. We are able to directly call prospects. I have access to direct phone numbers and emails of those potential customers that I want to target. I don't know how people can successfully grow their business quickly without a tool like Zoominfo. "Good contact info, poor info on employee count, strong SFDC integration"
ZoomInfo's contact info is good. Phone numbers and emails are fairly reliable. Easy to import contacts into SalesForce when set up as a plugin. Also easy to search for accounts and contacts from within SalesForce, and import to create new contacts and accounts. The employee counts are trash. Everything falls into a bucket (25, 50, 100, 375, etc.,) but when you look at the actual employees in the company, it can be far off from the stated number. For example, ZoomInfo says "375 employees" and when you actually click into the account to look at the employees, there might be 45. It's a great tool for finding contact info for prospects. Not sure on the back end, but seems easy to connect to SalesForce, and strong ability to quickly import contacts on a one off basis, or in bulk. The contact information isn't perfect but is very good. Ability to find companies, employees, and contact info is very good. Strong benefit for a sales organization. "You'll never find a perfect information scraping website"
This platform is good at giving extra information about people. I can find board memberships and past education. I can also easily access further information about those relationships at a click of a button. I like the search capability a lot, especially since you do not have to pay for access that information. Like with all of these websites, none of them are perfect, the main issue is that not all the information is updated regularly and you MUST check your work. I would recommend always checking your work on ZoomInfo. As previously stated, information is missing from the platform and you must make sure the people you are looking for still actually work at the institution you are looking up. When you are creating a large database and need access to personal information, this is the best website to use. I have only tried out a few competitors, but based on that research, feel comfortable saying Zoom is superior. "An awesome database for getting roght contact information"
Relevant Information - One of the best databases available in market. It has approx 80% accuracy and anybody using it would find most of data relevant. Direct numbers and professional emails. Costing - It is not cheap and other databases same information at much lower price. Some times the data is incorrect and there is no real way to get that right. You can definitely forward it to their team but they take long time to revert back with right information. Definitely buy it if you need good data. Data nurturing really helped a lot. We were not able to get accurate data especially direct numbers but it really helped. "buen programa para uso domestico e industrial"
Me encanta la capacidad de conexión al utilizar Google Chrome para ver inmediatamente quién es la mejor persona de contacto. También me encanta la posibilidad de subir mi propia lista y cruzarla con zoom inf, para sacar los contactos más antiguos y el correo electrónico y los números de teléfono. La única desventaja para mí es el hecho de que no puedo reducirlo a los ingresos exactos o al menos más opciones, como los 30 millones y luego salta a 69 millones, me gustaría tener la capacidad de reducirlo un poco más, digamos, a 5 millones a la vez? Yo diría que lo intente, sin lugar a dudas el mejor que he usado en mis más de 20 años de uso de software de base de datos de contactos. Encontrar los contactos correctos a los que llegar, tiene más información actualizada que cualquier cosa que haya usado antes, uno de los mayores beneficios es el hecho de que puedo usar sobre la marcha mientras busco algo en Google, y también puedo subir mis propias listas a través de Zoom y compararlas. "High quality contact data and easy to use"
Love the user experience and how easy it is to target by company or contact. There's more sub categories than I have ever seen inside the platform. This makes targeting and segmenting quick and easy. I dislike that you have to manually select to include leads with all the contact data you want each time (email, phone, direct dial). I made the mistake of purchasing leads that didn't have all the data I needed. Get a demo. It has the best value of any data provider. We're able to purchase all the data we need in one shot. No more using virtual assistants to clean up our data. Everything we need the first time around. "Buen Programa Para Cuestiones Empresariales"
Interfaz de usuario intuitiva! La interfaz es extremadamente fácil de navegar y la creación/exportación de clientes potenciales desde ZoomInfo fue muy sencilla en comparación con los productos anteriores que hemos utilizado. Crear las listas de contactos es fácil y la implementación fue fácil. La utilización del producto fue fácil sin entrenamiento para aquellos que no pudieron asistir, como yo. Los filtros son un poco confusos. Actualmente, usted puede utilizar la ubicación y el código postal, pero el código postal no se filtra. Sería más fácil si pudieras filtrar hasta niveles granulares sin tener la opción de introducir tanto la ubicación como el código postal del área que estás buscando. Esto ayudará a reducir cualquier confusión al crear una lista de empresas y contactos. Esta fue la primera confusión que tuve durante el intento inicial. Encontrar contactos con el departamento adecuado ha sido fundamental para la mejora de mi negocio. Somos capaces de crear una conversación creíble desde el principio hasta el final al tener el contacto adecuado dentro de cada empresa. ZoomInfo lo ha proporcionado. "Top Contact software hands down"
only downfall for me is the fact that i cant narrow it down to exact revenues or at least more options, such as the 20 mil then jumps to say 50mil, would like the ability to narrow it down a little more like say by 5 million at a time? "Has Helped my Cold Call Numbers Tremendously "
I've seen a return on utilizing ZoomInfo after only 2 months of using it. It's a great tool to understand the structure of different organizations. Small and large, I get 85% of the correct information I need. There are a number of tools to export contacts, be organized, and gain company insight. I LOVE the LinkedIn concept/feature.. I'm not sure if it's been rolled out yet or not but I'd really like to use it if so. At times, some contact's info can be incorrect or not up to date. Hard to export data the way I'd like/would be most efficient for me. Because you have to pay for the additional features, I don't use them and I think it makes me use the platform less. If I had access to all features then that would work better for me. So efficient and easy to find the correct contacts and their information. Direct numbers and emails are typically very up to date and correct, so reaching out to prospects is much quicker. Also very efficient for building out org charts for companies and keeping information organized. The technology listed for companies is not always the most up to date. The information is segmented in a way that makes it slightly difficult to find the technology most relevant to my company. The best tool you will find for locating contact information. Now they have joined with DiscoverOrg, which I see as a beneficial move for all users. Reducing time spent calling companies main number just to get the receptionists voicemail, or transferred straight into my prospects voicemail. Extremely efficient. This is the best way to find contact info for the people I meet at conferences but may have misplaced their business cards. It is very easy to use and updates contacts frequently. I love the list building function and that it can be imported directly into Salesforce. The support team has been helpful when I call and work with me to find solutions. Sometimes, there are bugs which can make you lose your data when searching for a prospect. Also, there are times when I get signed out when I am in the middle of a search. It would be very helpful for their to be an option to search for companies by square feet. Do it! It is so easy to use and everyday I learn a new function that Zoominfo has. Prospecting clients. I have direct numbers and emails so I can easily reach out to potential customers. It is very useful to be able to search by titles and to select "person is at selected location" so I know the person I am calling is at the location I am interested in. Sine my business unit works in selected locations, it makes sense to only look for contacts in specific locations. "Zoominfo helps us connect to potential clients"
Zoominfo helps us connect to potential clients and saves us time searching for contact information. the best part for me personally is how fast that the information loads. It is really beneficial to be able to pull up info within seconds of someone and be able to verify that our records are correct. It saves us a lot of guesswork. Sometimes we have experienced issues finding info that is completely up to date. I would recommend this product. It has been great for our sales team, and helped save a lot of time and effort. Zoominfo is an efficient way to get in touch with the right leads and a trustworthy way to know that you are getting the right information for the right people. It provides us with information much faster than we could get it in other ways. We use zoominfo to fill out missing information from our leads list and also to verify that the people we are contacting have the proper information. It really helps us have peace of mind that we are wont look silly asking for the wrong people or calling the wrong numbers when reaching out to cold leads. "One of the best tools in the market for getting access to a slew of information"
I use Zoominfo to find contact details of new prospects and it does a pretty good job 80% of the time. I'm able to scour the emails of people I'd like to reach out to easily by entering just the company name and location. I use Zoominfo more than twice a week to find prospect details and it works pretty decently most of the times! ZoomInfo & HG Data: The most accurate and comprehensive data source just got smarter. * We monitor all ZoomInfo reviews to prevent fraudulent reviews and keep review quality high. We do not post reviews by company employees or direct competitors. Validated reviews require the user to submit a screenshot of the product containing their user ID, in order to verify a user is an actual user of the product. Hi there! Are you looking to implement a solution like ZoomInfo?